A handy photo/diagram chord book which shows, in C tuning, the chords in each key. A special section on moveable chords is also included. The chords are grouped by type, including major, minor, seventh, diminished, augmented, and more. A summary of where the chords lie on the fretboard is also included. 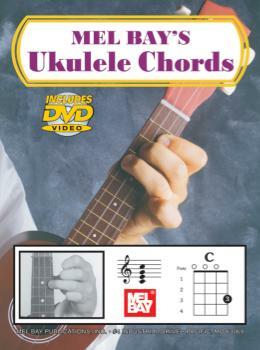 This book can be used with either the soprano (standard) or tenor ukulele in G-C-E-A tuning. Includes a DVD.